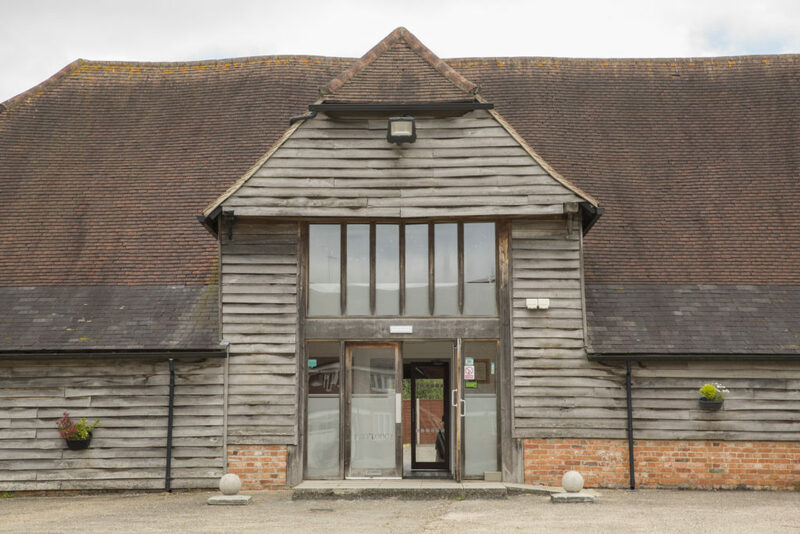 The Bury Lodge barn provides an expansive open space for business meetings and conferences to inspire new ideas and productive off-site work. Conference facilities for up to 200 delegates. Variety of layouts to suit bespoke briefs. The sixteenth century barn provides a beautiful and open space for business meetings and conferences. The barn can accommodate up to 200 delegates and is also suitable for gala dinners and presentations. Bury Lodge offers a variety of seating arrangements, from a theatre layout to chairs and tables. Our lobby makes a useful seminar room, or an additional area if your delegates need to work in small groups. Bury Lodge is a newly refurbished 16th century barn in Stansted, an ideal setting for both private and corporate events. Whether you are looking for a venue to hold the perfect wedding or business conference, the barn & hotel at Bury Lodge offers a traditional welcoming atmosphere and is a picturesque setting for all occasions.